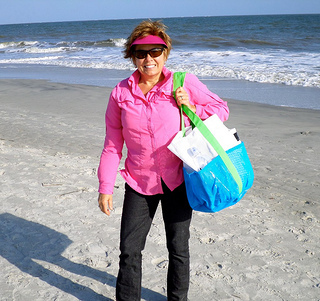 Looking for a mesh beach bag that will keep your stuff dry and the sand out? You don't need to look any further. The fabric is made out of a heavy duty mesh that will last for years. Put wet stuff in it and it dries out, put sandy stuff in it and dry sand falls out of the bottom. You can tell a mother must have designed it (and it was) because of all the outside pockets - places for water bottles, sunscreen, books, sunglasses, magazines, food, etc. 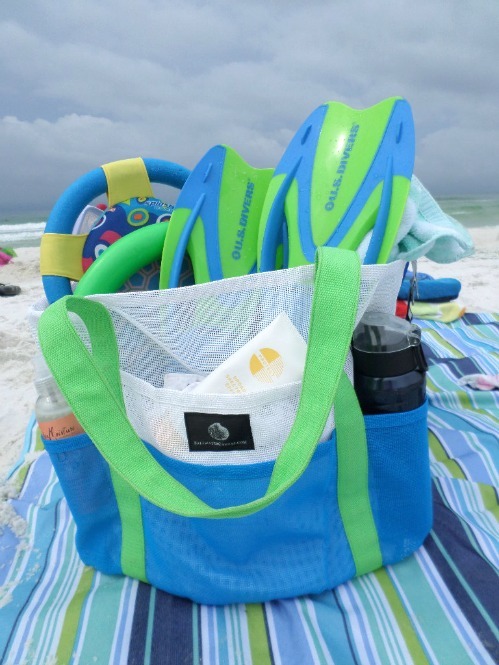 This beach bag is plenty big - it holds 6 towels, beach toys, food, beverages, etc. It is called the Whale Bag and is made by Saltwater Canvas. There are 8 outside pockets and a zipper pocket on the inside for keys and phone. 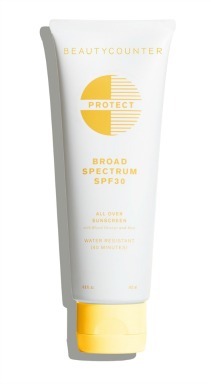 It squashes down nicely if you need to get it into a suitcase but stands up right when it is sitting on the sand, the back of your car, or the pool deck. The mesh of course is waterproof and you can just hose it off for easy cleaning. The bag made by Saltwater Canvas comes in two sizes - the smaller one is called the Dolphin Bag and the larger one (the one pictured above) is the Whale Bag. This one holds 2-3 beach towels and beach toys with 7 outside pockets. An inside pocket zippered pocket holds your valuables. For beach trips that require air travel, this bag folds nice and tight into this pouch so you can pack it easily into a suitcase. 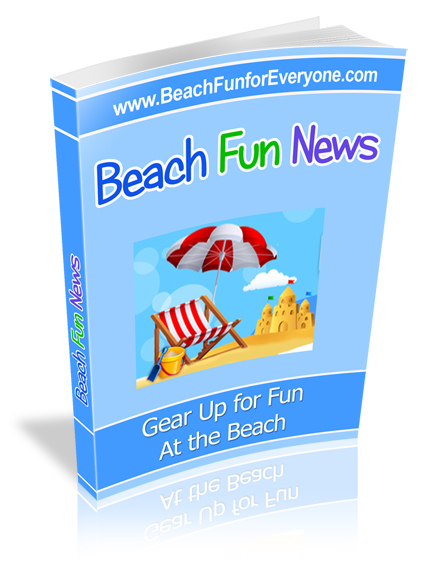 It opens up to a really large bag so there's plenty of room to carry towels and beach toys. Made of a durable mesh it can be hosed or washed off and any dry sand will simply fall through the holes. This one has a drawstring on the top if you want to secure your valuables or gear. Adjustable straps make it useful for adults or children. This 2 for 1 cooler beach bag carries all of your essentials from beach towels to valuables to food and drink - all in one bag. The roomy mesh top provides ample room for bulky items while the two zippered pockets feature a waterproof lining so that your cell phone and wallet are not only dry and sand free but out of sight. Pack you water, drinks, fruit and sandwiches for an all day beach vacation and enjoy a cold drink or snack even after hours in the sun.